For 30 years Georgi Spassov is the principal flute of the Sofia Philharmonic Orchestra and Professor at the Bulgarian National Academy in Sofia. Many significant talents with international career are among his student. He has been the first and only Bulgarian ever invited to take part in First and Second Symposia of the flutists from all over the world, where his creative and pedagogic achievements were highly appreciated. 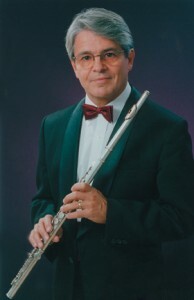 He is an honored jury of the most prestigious National flute competitions as well as of many International ones. He has assisted famous Professor Andras Adorjan during the master classes at the Varna Summer Music Festival and the March Music Days Music Festival in 1990 and 1992 and every year he has lead numerous master classes in Bulgaria, Cuba, Japan, Sought Korea and others. At the present he works as professor for clarinet at the Academy of Music and Dancing Arts in Plovdiv and the National Academy in Sofia. 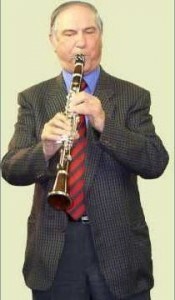 Between 1961 – 1974, he is the first solo-clarinet of the Sofia Philharmonic Orchestra., and between 1974 – 1985 he is the first solo- clarinet in the orchestra of first solo-clarinet in the orchestra of the Bulgarian National Milan Scala. Professor Petko Radev is an outstanding personality, unique performer and a teacher of generations of musicians. 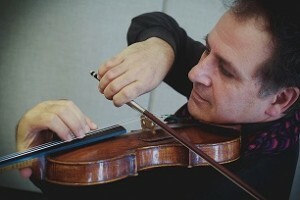 Kevork Mardirossian is currently a Rudy professor of violin at the Jacobs school, Indiana University in Bloomington, since 2008. His first solo recital was at age 12, and his intensive concert career started when he won the Gold medal and First prize at the Obretenov Violin Competition in 1978 in Bulgaria, the Gold medal at Katya Popova International music festival in 1979 and several international chamber music competitions in 1985-86 in his duo with pianist Lee Phillips. Since then, Mardirossian has performed as concerto soloist, recitalist and chamber musician throughout Bulgaria, the former Soviet Union and Eastern Europe before moving to Europe, where he developed an impressive solo career, with tours of England, Wales, Italy France, and the U.S., including debuts in London and New York’s Carnegie Recital Hall in 1992. He has appeared as guest artist at international music festivals such as Manuel De Falla in Spain, Shanghai festival in China, in Cheltenham, England, the European Cultural Months, and the International Chamber Music Festival in Plovdiv, Bulgaria, the Czech Festival in Trento, Italy, the Sofia Musical Weeks, among others in France, Germany, Spain, Japan and China and Korea.His education and training are from the Dobrin Petkov Music School in Bulgaria, the Bulgarian State conservatory, the Maison de la Culture in Brussels, and the Guildhall School of Music and Drama in London UK, where he was awarded the Concert artist (Premier Prix) award.Mardirossian’s teachers and mentors were Elena Doikova, Anton H. Atanasov, Vladimir Avramov, Artur Grumiaux, Janos Starker and Yfrah Neaman.In 1980 he became the concertmaster of Plovdiv Philharmonic until 1988 when he moved to the US, where he was appointed artist-in-residence at the University of Central Arkansas. There he also co-founded the Kapelle Trio with pianist Lee Phillips and cellist Felice Farrell, as well as the Heber Springs Chamber Music Festival and Master courses in 1998. From 1995 to 2008, he was the violin professor and String chair at the College of Music and Drama at Louisiana State University.Through the years, Mardirossian has established himself as a highly respected violin pedagogue and devoted mentor to more than 100 outstanding students, many of them winners in numerous national and international competitions. Others, can be found in world’s leading orchestras as concertmasters and principals, as well as teachers in universities in the US, Europe and Asia. 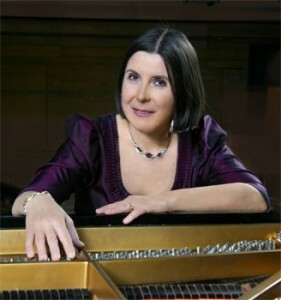 Mardirossian is a British Council Scholar and is the recipient of the Rudy Distinguished Faculty award at Indiana University, LSU Distinguished Faculty Award, and the LSU School of Music Award for Excellence in Teaching, the Galante Professorship, and the prestigious San Diego II Alumni Professorship of Honor. 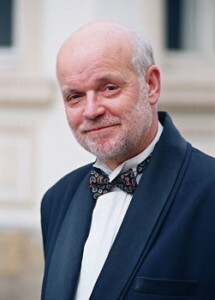 He is on the jury of several international violin competitions such as: The Henrik Szheryng International Violin competition in Mexico, The Vladigerov international competition In Bulgaria, the Beethoven Violin competition in the Czech Republic, the Shanghai International Violin Competition, among many others. He has served on the faculties of the International Institute at Round Top, Texas (2001-2008), the Aria String Academy in Massachusetts, the Aurora chamber music festival in Sweden, the Manuel De Falla International courses, in Granada, Spain, the String Academy in Pontedeume, Spain and at the International Master courses in Shanghai Conservatory. He presents regular master classes in Europe, Asia, South America, and the US in most major schools and universities. Since 1972 he teaches at the National Music Academy “P. Vladigerov”, where he is a professor. He leads master classes in France, England, Belgium, The USA, Korea, Greece, Portugal, Brazil, Macedonia and many others. His students are solo artists, concertmasters and orchestra members on the most celebrated and famous scenes, in prestigious orchestras as well as pedagogues in musical colleges and universities. At the present, Prof. Anatoly Krastev is vice chancellor of the National Academy. In 2012 he made his Master Degree in Prof. Anatoli Krastev’s class – National Academy of Music, Sofia. 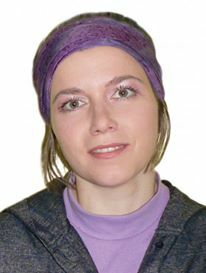 From 2011 to 2014 Krastev studied in Escuela de Música Rejna Sofia, Madrid, specializing with Prof. Natalia Shakhovskaia. He attended masterclases with D. Geringas, Fr. Helmerson, A. Noras, N. Gutman, A. Meneses, L. Claret, Young-Chang Cho, T. Carroll, R. Cohen, D. Weis, M. Kliegel, R. Latzko, T. Demenga etc. 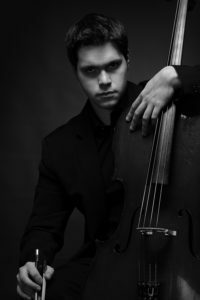 Currently he teaches cello at the NMA “Pancho Vladigerov” and NMS “Lyubomir Pipkov.” Ph.D. from 2016, assistant professor from 2016 and Chief assistant professor from 2017. From 2001 to 2015, Atanas Krastev won 16 First and Special Prizes at national and international competitions (Bulgaria, Austria, Czech Republic, Serbia, Spain), including: Award for Chamber Music in Madrid (bestowed by Queen Sofia), the International Competition for cellists “Liezen” (Austria – 2014), International Competition “Jeunesses musicale”, Belgrade (Serbia – 2015). He was awarded the Diploma and Award of the Bulgarian Ministry of Culture, the Title of the Academy of Young Talents, the Golden Muse Award for the performance of Russian music, and the Crystal Lyre of the UBMD (2007 and 2012). taken part in numerous concerts filmed live by the Bulgarian National TV, Nova TV, the Belgrade National TV, TV Globo (Brazil), in music documentaries and studio recordings at the Bulgarian National Radio, etc. ; DVD by BsB, CD with the ‘Sofia Soloists’ Chamber Orchestra and Plamen Djouroff , CD with “Oscar Esplá de Asisa” piano trio etc. He made edits for the violoncello parts in J. Krushev’s transcriptions of works by Mendelssohn, Grieg and Rachmaninoff (ed. “Musica”). Margarita Kalcheva was born in Pleven,Bulgaria. She began her musical training in double bass class at High school of Music with Irina Petrova. As a student of Prof.Todor Toshev she received the B.M. degree in Preformance from National Academy of Music. She has attended masterclasses with Prof.Victor Chuchkov and Michel Veillon. 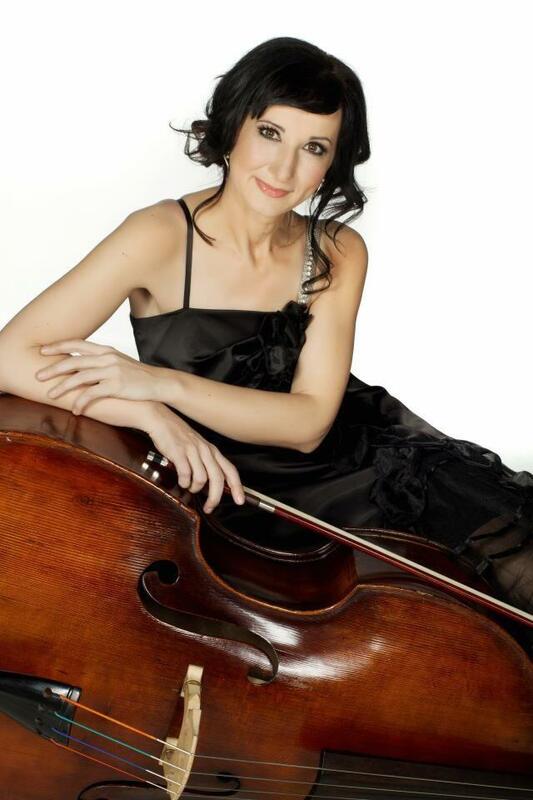 Margarita became a prinsipal double bassist of the National Radio Orchestra of Bulgaria since 1998 as well with Orchestra Ensemble Kanazawa -Japan since 2009. She maintains an international profile and career in a variety of roles as a soloist,chamber and orchestral double bassist all over the world. Maria Prinz has performed with leading orchestras throughout Europe, including several performances with the Vienna Philharmonic, collaborating with renowned conductors Riccardo Muti at the Salzburg Festival and Seiji Ozawa in Vienna,and with Neville Marriner in Bulgaria. As a recitalist, she has appeared in the United States, throughout Europe and in Japan. Her chamber music collaborations include numerous performances with members of the Vienna Philharmonic Orchestra, including the flautists Dieter Flury and Wolfgang Schulz, and clarinetists Alfred Prinz and Peter Schmidl, among others. Concerts in Weill Hall/Carnegie Hall in New York and Purcell Room/Queen Elizabeth Hall in London with flautist Patrick Gallois are currently scheduled. Her recordings include Haydn and Mozart piano concertos with the Sofia Symphony Orchestra, Brahms Sonatas for clarinet and piano with Alfred Prinz, Poulenc, Martin? and Brahms Clarinet Sonatas with Petko Radev, a disc of chamber music of Beethoven, Glinka and Alfred Prinz, and a recording of songs by Giacomo Puccini with soprano Krassimira Stoyanova. A Naxos recording of Mozart Sonatas, arranged by Patrick Gallois for flute and piano will be released in February 2013 and a Chandos disc with rarities by Krenek, D’Indy and Schulhoff with the Academy of St.Martin in the fields under Sir Neville Marriner will appear in September 2013. Maria Prinz was born in Sofia, Bulgaria, into a musical family. Her father is the famous Bulgarian conductor and composer Konstantin Iliev. She studied at the Music University “Hanns Eisler” in Berlin with Rudolf Dunckel, in Vienna with J?rg Demus and in Paris with Yvonne Lef?bure. In addition to her performing career, she has taught at the University of Music and Performing Arts in Vienna since 1987.
International soloist Suzanna Klincharova performs regularly in Europe, the USA, Asia and the Middle East. As an invited guest of many famous orchestras: the Tokyo Metropolitan Symphony, the National Orchestra of Belgium, The Sofia Philharmonic, the San Francisco Chamber Symphony, the Alpes Provence Cote d’Azur Orchestra, the Antwerp Philharmony, the Sofia Radio and TV Orchestra, the National Orchestra of the Philippines, the Antwerp Chamber Orchestra, the Sofia Soloists, the Kansai Philharmonic-Osaka, the Bach-collegium, the Orchestra of Liege…she is appreciated for her talent and for her wide repertory of harp concertos. The number of her recordings increases steadily and they are released all over the world. An important part of her repertory, as well as interviews and films, has been recoded and broadcasted on TV and radio stations. Supporting the contemporary music creation she has premiered and recorded numerous important pieces for harp, some of which have been dedicated to her. Her interest in improvisation and contemporary jazz has been accomplished in a duo with Steve Lacy. Her annual recitals at Carnegie Hall, are an opportunity for Suzanna Klintcharova to introduce the new releases of her discography . She is a member of CDMC in Paris. Born in Sofia, Suzanna Klincharova is established in Paris and New York. During her brilliant studies in Bulgaria National High Conservatory, Brussels Royal Conservatory with Susanna Mildonian and in Paris – specializing French music with Pierre Jamet, she became laureate of national and international harp contests. Parallel to her concert career she got involved with harp teaching. Some of her students hold positions in prominent orchestras and schools of music around the world. She is teaching in Conservatoire de Neuilly in Paris. 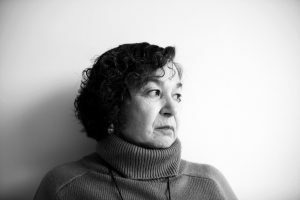 Suzanna Klintcharova has an important contribution in the research and transcription of harp music. 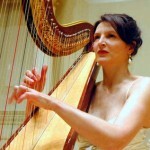 Member of most prestigious harp contest’s jury, she gives regularly master classes in Europe and The USA. A project of hers has been realized and performed for ten years with the educational section of the Mairie de Paris. Suzanna Klincharova is the president of the ArtFusion cultural association in Paris. Born in the region of Yambol, Bulgaria, Binka Dobreva was raised in a musical family and inherited her mother’s talent for singing. She graduated from the prestigious music high school “Filip Kutev” in Kotel and went on to successfully complete her college education at the “Academy of Music, Dance and Fine Arts” in Plovdiv. There she double-majored in “Traditional singing” and “Conducting folk music ensembles”. Meanwhile she was active as a vocalist in the Trakia Folk Ensemble, and later in the highly esteemed “Filip Kutev National Folk Ensemble”. Since 1990 Binka has been part of the all-women vocal group “The Mystery Of The Bulgarian Voices” – the greatest ambassador of Bulgarian culture around the world. Alongside her career as a vocalist, Dobreva is active in the academic field – she teaches classes in folk singing at the South-Western University “Neofit Rilski” – Blagoevgrad, and at “Narodni Buditeli” High School in Sofia. Binka has released a total of six albums, with arrangements and original songs beautifully crafted by her husband and musician Alexander Raychev. 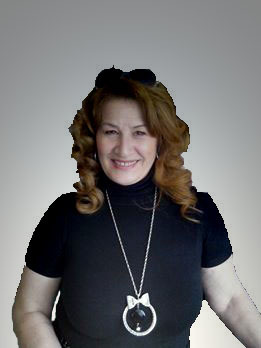 Among her most famous and beloved songs are: “Danyova Mama”, “Gergana”, “Ah, Merak”, “S Lyube Shega Ne Biva”, and many other. In March 2013 Binka completed her doctoral dissertation, titled “Models for teaching traditional Bulgarian vocal music to children from 4 to 14 years old”. Dobreva is a well-respected teacher and mentor. She has cultivated the vocal talents of children from all over Bulgaria. Her students have earned numerous awards, medals, and honors and are a valuable part of the Bulgarian folk music scene. 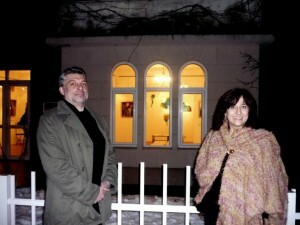 1988 – exhibition of the Bulgarian Academy of Fine Arts in New York and Washington D.C. I have been a teacher in Bulgarian Language and Literature for 18 years in a lot of public and private schools in Sofia. I am also a member of a lot of educational institutions, also a member of the testing and evaluating commision of HBO, PISA commicion and PURLS commicion. I’m a chairman of “Aleko” foundation, whose main aims are in the fields of culture and edication. as a project for outclassroom activities for students from 2nd to the 7th grade. competitions and childrens’creativeness competitions public appearences, experiments in the Lab for Poetry. spiritually rich and fullfilling personalities who are capable of deep thinking, assertion and unfolding their creative talents. Elena Ivanova travaille dans le domaine de scénographie(conception de décors et costumes), histoire du costume, installations d’œuvres artistiques contemporaines, exposition d’arts de tous les temps, design d’intérieur, costimes et decors de cinema, television, opera, dance. Elle est professeur dans le Nouvelle Université Bulgare. 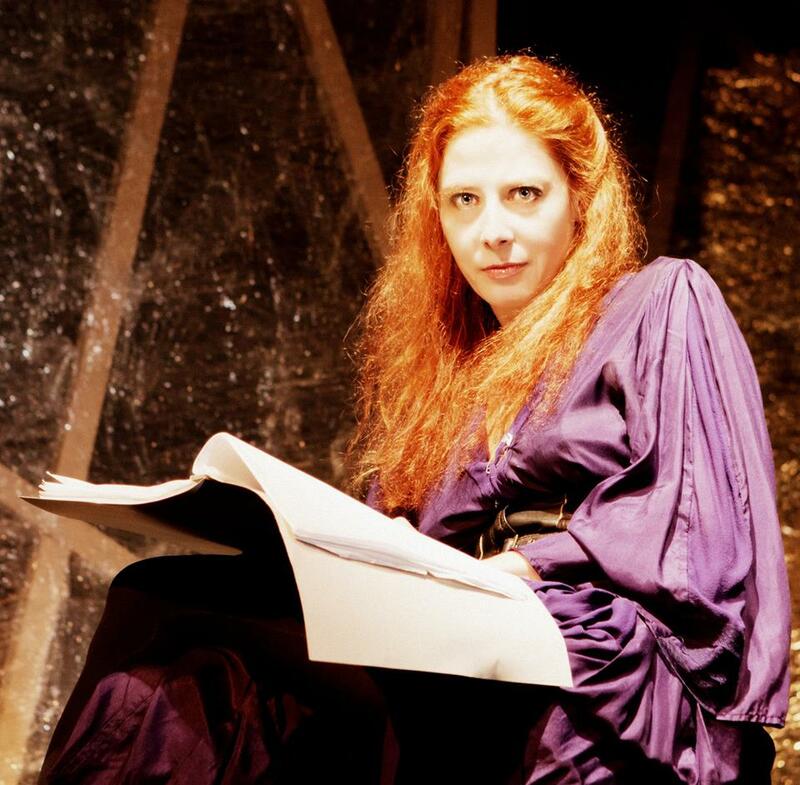 Elena Ivanova etait décorée à trois reprises dans l’ordre des ASKEER, plus haute distinction pour theatre bulgare. Leur dernières participations international les plus remarquées ont été des scénographies pour les théâtres d’Istanbul et d’Ankara.